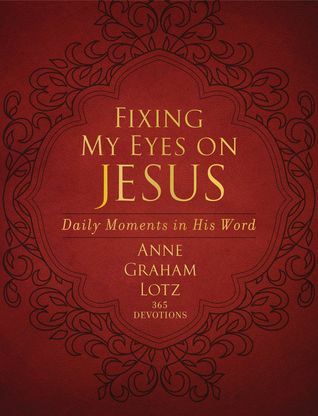 Anne Graham Lotz could not have known when she was preparing and writing “Fixing My Eyes On Jesus” that she would be battling cancer and would be having to live out her faith in such a dynamic way. She has always had a passion to teach God’s Word and to proclaim truth to others. She is much like her father when she brings forth a message from God’s Word. This 365-day devotional will inspire you to daily fix your focus on Jesus with Scripture and a meditation that will help you see Jesus and keep your eyes on Him throughout the day. 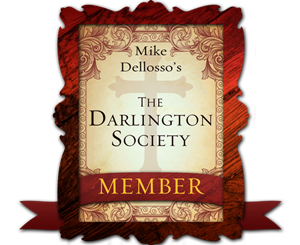 As I read the devotionals, which take only minutes to read, I felt inspired and uplifted. I can’t wait to go through them day-by-day slowly and ponder each question and thought. If you are searching for a devotional for the new year, I highly recommend that you consider “Fixing My Eyes on Jesus”. Anne Graham Lotz has always been one of my favorite authors who bring me closer to the Word of God and to Jesus every time.